When I started this Paris Impressions series, I didn’t intend to offer French Lessons. But when trying to match letters with topics, I found a knowledge of two languages quite helpful. However, Jardins is closely related to its English translation. Simply replace the J with a G… and you can guess what it means: Gardens. 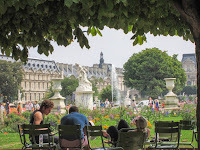 As I mentioned in the H post, Baron Haussmann was responsible for creating numerous green spaces throughout Paris, a nice respite for the inhabitants of a major urban city. 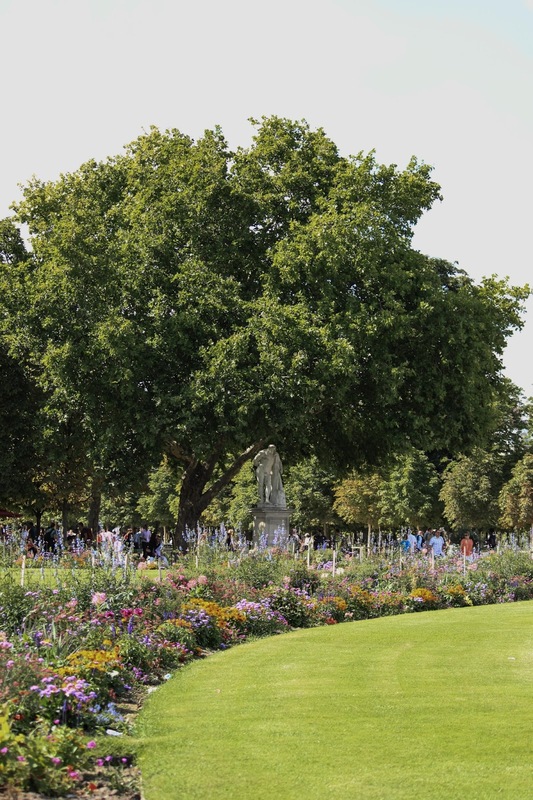 While there are many smaller parks throughout the city, the two most popular are the Luxembourg Gardens on the Left Bank, and Tuilleries Gardens on the Right Bank. 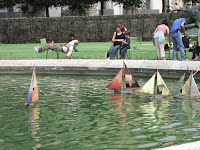 This post will focus on the Tuilleries Gardens. For those who may be unaware, you can walk a straight line from the Louvre, through the Tuilleries Gardens to Place de la Concorde, then continue down the Champs Elysees until you reach the Arc de Triomphe. It is over a two mile walk … but what a way to get in your 10,000 steps! I adore these Gardens for several reasons. First, they are located smack dab in the heart of the city: walking distance to three museums (the Louvre, the d’Orsay and the l’Orangerie), and an elite shopping district. Yet despite its easy access, it is surprisingly quiet and peaceful. Secondly, it is a family friendly park. Picnic blankets dot the landscape with the laughter of children running around while Mom and Dad set up lunch. 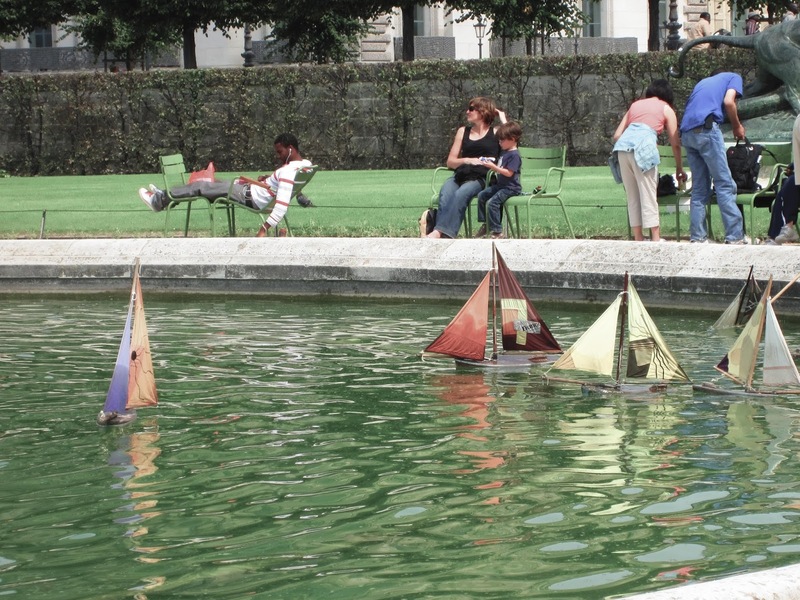 Afterwards, they wander to the fountain where toy sailboats are available to rent. In this day of video games and over-programming, it is heartwarming to see these children content to use an every day stick to push the boat across the water. Sometimes simple pleasures truly are the best. Lastly, I adore this park because it as much a museum as a garden. Everywhere you turn, marble statues grace the landscape. They are as common as a park bench, and yet, I don’t take the beauty for granted. 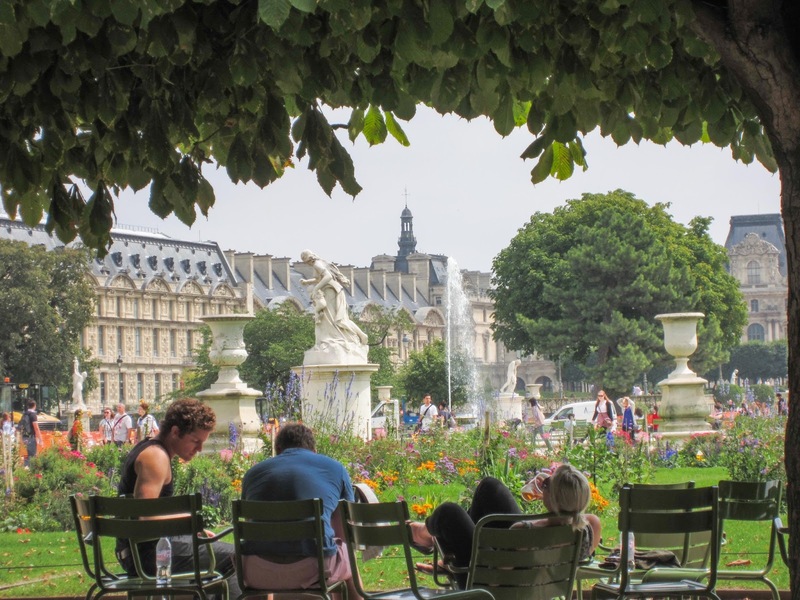 It is easy to grab a “jambon et fromage” sandwich at a local pushcart (ham and cheese like you’ve never tasted in the states), pull up a chair beside one of the many flower gardens, and bask in the simplicity of the moment. I have been to Luxemboug Gardens but it was ages ago. Lovely. I like this post. I love this new blog that I have found today out blog hopping during the #Challenge. I want to follow, but find no place to follow by e-mail. Leading a busy life of writing, two blogs, etc. I find I forget about a blog if I don't get the notification that a post has been published. Am I over looking the right spot to sign up. Congratulations on this fine presentation. The clarity of the posts is a welcomed relief after finding so many that are so cluttered and unreadable that there is no point in returning. YOURS has got it right!. If you have time or interest, my theme this year is hotels and inns. I'd love for you to join me. Please let me know about following you by e-mail. I haven't been there for many years and I can't remember much. But the sailing boats still stick in my memory. It's so peaceful watching the kids playing with them. I hope to spend more time in the Luxembourg Gardens next time I visit Paris. I will look into adding an email list sometime in the near future. 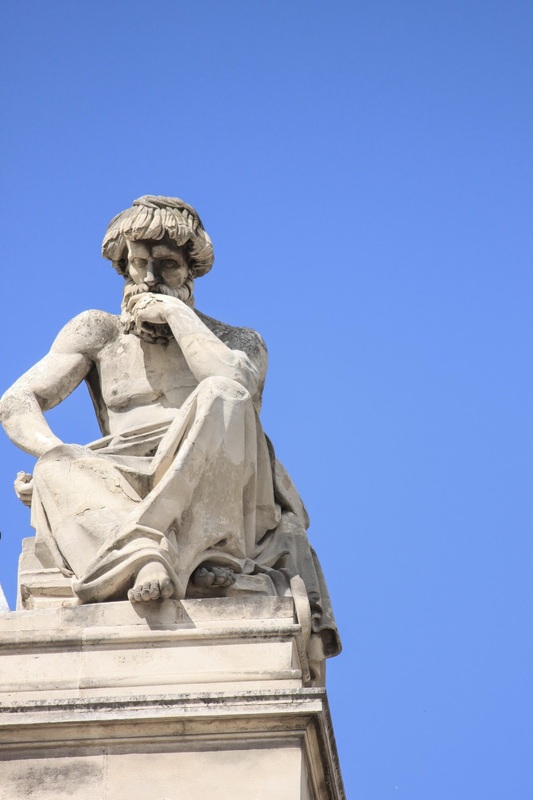 "For those who may be unaware, you can walk a straight line from the Louvre, through the Tuilleries Gardens to Place de la Concorde, then continue down the Champs Elysees until you reach the Arc de Triomphe." And what a walk it was! Memories for a lifetime in the people, the sites, the Paris air! Thanks for bringing back good memories, Molly! It is a lovely two mile walk, isn't?